intimate, locally focused workshops in Tofino B.C. Creative Tofino was started to support the community of creative crafters and share our collective skills. We are life long learners but also need the motivation of taking a class in order to start (and finish!) things. Are you one of us? 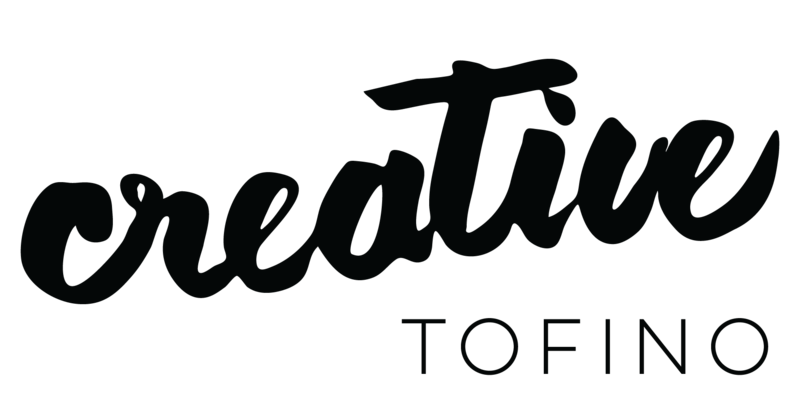 Creative Tofino is here for the self-identifying creatives + slackers alike. We love where we are from and want to share our knowledge of place and pass on skills for you to carry away with you. We are laid-back, informal and sometimes sopping – just like Tofino. Are you a complete klutz with a paintbrush? Stab yourself with every needle? We all start there. Our ultimate aim is to help you along your creative journey and teach you skills that you can take away. Maybe you are coming with a well honed skill. We hope to be able to expand on what you know and teach you something new. Hopefully you will do the same for us. We aim to create an environment that mirrors the beauty around us. Fostering friendships and building each other up. Join us for one of our three hour classes teaching you versatile hand embroidery stitches. By the end of the class, you will have a good start on a keepsake west coast themed sampler of your own making. The skills gained in this class can be used to add interest and personality to new projects and everyday items. Join us for one of our three hour classes teaching you water-colour painting skills to embellish your travels journal. By the end of the class, you will have work pages to guide you through mixing and applying paint and a finished piece inspired by our surroundings.